Hello and Welcome! 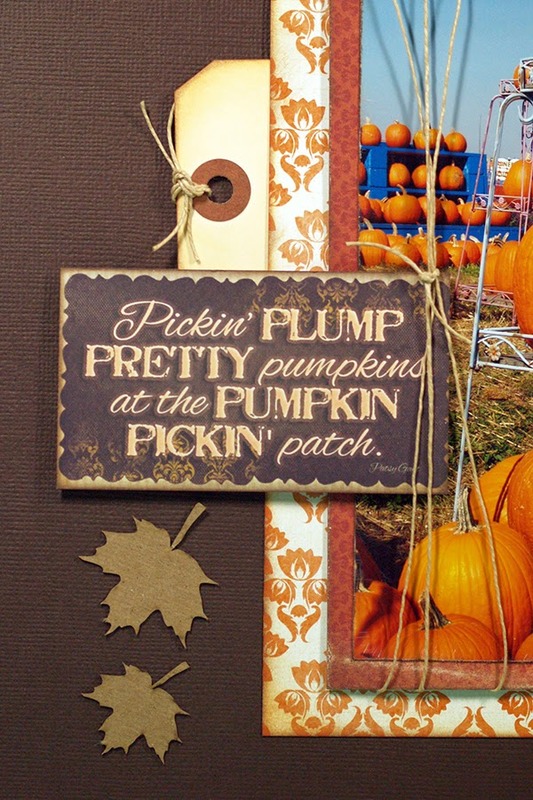 Susie here today with a simple fall layout using some of the wonderful papers from Sheer Joy! 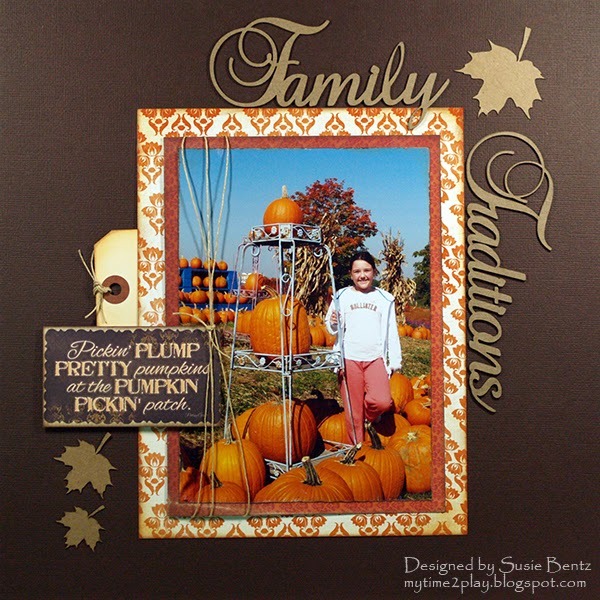 The beautiful oranges in this collection are perfect for scrapping your family pumpkin patch pictures! I started by cutting a mat for my 5"x7" photo from Sheer Joy 300. I lightly distressed the edges and inked them with Java PowderPuff Chalking Ink. I added some twine to the left side of the photo. I layered that on top of a larger mat cut from Sheer Joy 700, which I inked with Rusty Nail PowderPuff Chalking Ink. The Quick Quotes Holiday Bundle is a great collection of themed cardstock and vellum quotes. 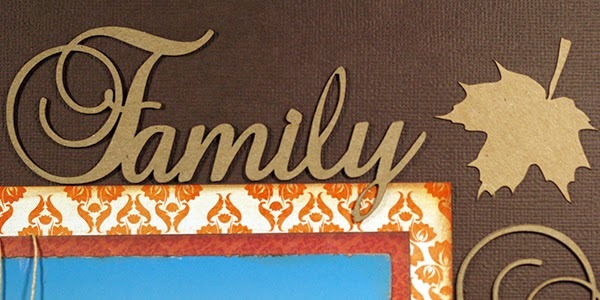 I found the perfect sentiment for my layout and inked the edges with Java. I used foam dot adhesive to pop it up on my layout. I inked the manila tag with Rusty Nail and tucked it behind the photo mats. 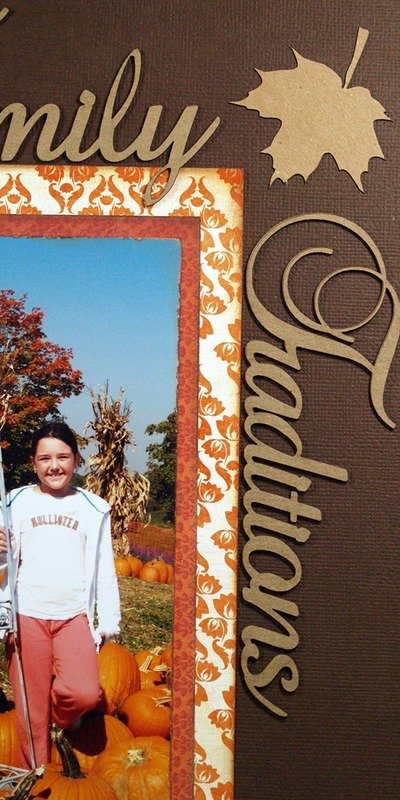 The Fall Leaves Bag O'Chips had the perfect chipboard accent for this layout. I let them trail across the layout from the top right to the bottom left and then added a coordinating chipboard title. Beautiful! I love the pop of orange!